EMMETT – This is a story of good old-fashoined American Stick-to-itiveness – And how one man’s desire led to a discovery that would transcend national boundaries. Happy Independents Day, Emmett! You are the most independent person I have ever known. 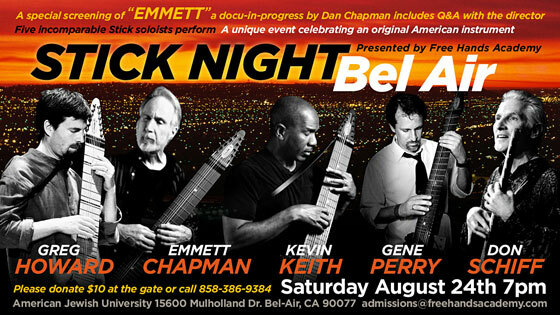 I’m happy to invite all my friends to the coolest event. Open to the public. 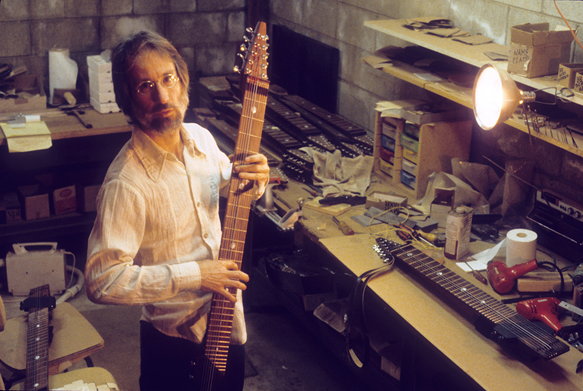 For those who don’t know, Tom Greisgraber (pronounced like nice neighbor) is a phenominal Stick player. 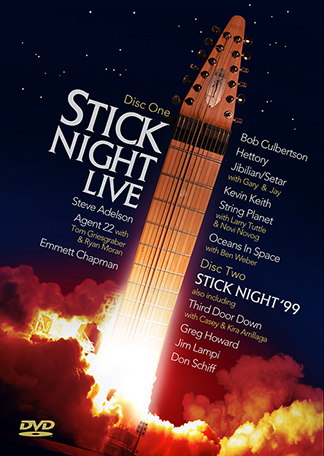 We are all discussing The Stick and my new DVD, STICK NIGHT LIVE. Lots of great Stick music. It will be up for 2 weeks and you can stream it, or download it if you prefer to listen on an mp3 player. It will actually air on the station Saturday morning 4/30/11, but most listeners choose to listen to shows on demand rather than actually listening to the live feed. After two weeks when this episode comes down, soon after the interview portion of the show will appear on the special events archive section of the site. What do you get when you rub two Sticks together? 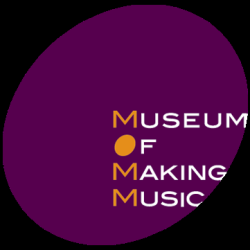 Here’s the link below to what was a live stream of last night’s concert at the Museum of Making Music. We captured some beautiful moments. If you don’t watch anything else, at least see the wonderful introduction at the beginning by the lovely museum director, Carolyn Grant. Also Tom and Emmett’s duet was brilliance. Alone worth the price of admission. The museum set up to do the streaming, using a siingle SD DVX100, directly streaming the event live. We shot separately with two cameras in beautiful HD for the documentary.